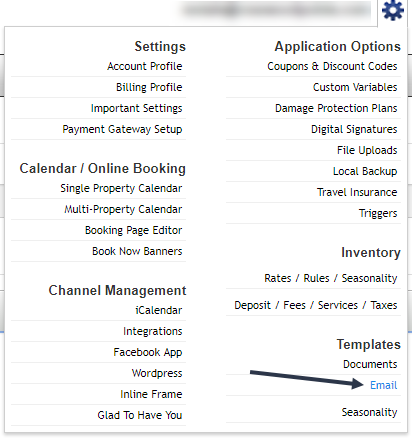 Vacation Rental Software Blog – Page 3 – More Bookings, Less Hassle. A blog about vacation rental software and online bookings. Progress has been a bit slow, as we decided to recode the calendar completely, rather than modifying our existing code. Optimized and coded to work very well on mobile devices. Quoting will be displayed within the calendar, eliminating the popup window and tooltips. Additional rules like arrival and departure day rules are displayed and enforced within the calendar. Extensive flexibility to match color scheme to your website. Will incorporate ability to display last minute and length of stay discounts within the interface. Overall, it should be a real nice improvement and function much better across all browsers and platforms than our current calendar. Once the single property calendar is complete and launched, we will move on to the multi property calendar, which is also in dire need of some great design improvements! New Calendar Designs Are Coming Soon! The channels have really kept us busy the last 4 or 5 months with all of their changes. It’s been time consuming trying to keep up with all the changes at HomeAway while concurrently coding a new integration to Airbnb and then keeping up with all of their changes. Not really a pattern we wish to replicate. Even more frustrating is that most of the changes don’t benefit Lodgix customers at all, they are simply changes meant to line the pockets of HomeAway – all in the name of providing a “more consistent guest booking experience”. Sigh. However we have finally started work on recoding our booking calendars and calendar tape to provide a more modern / current design for our subscribers. I am quite confidant the changes will be welcomed. Screenshots of the prototypes will be provided in the next 7 to 14 days! In Part 1 of our series on the new HomeAway Secure Messaging Platform we reviewed what data and formatting can be sent to a guest who inquiries through HomeAway. In a nutshell, ONLY plain text will be allowed. Many Lodgix subscribers have customized HTML response templates that are used to respond to HomeAway inquiries. On Wednesday, August 2nd those templates will no longer be used. Instead a standard text template that we provide will be used. The default text can, and should, be edited. Only merge tags that do not contain HTML will be available within the text template. Click on the Text tab to edit the contents of all emails sent using text only. This is only required for HomeAway. Responses to inquiries from other sources will continue to be sent using full HTML. In the standard text response for available properties, the HomeAway or VRBO is used to drive the guest back to the listing. How Do I Edit the Text Responses for HomeAway? if autoresponders are turned on or off for your account. and if autoresponders are on, then note which templates you have set to make sure those templates are edited. If nothing is done, and if you are using a custom template, Lodgix will continue to respond with the full HTML in your template to HomeAway inquiries. In that event, HomeAway will strip all HTML elements until the response meets their guidelines. Those responses will appear somewhat broken to the guest as much of the referenced content will be blank, as it will have been stripped by HomeAway’s filters. HomeAway recently announced that they will be moving to a secure messaging platform. This is not a Lodgix initiative, we can only code our platform to make the changeover as seamless as possible for our users. I do feel bad however for those who use HomeAway as the primary source of their bookings, as the whole platform has become must more restrictive and expensive over the years. Hopefully more and more of you will take up the challenge to become less dependent on listing sites. Having too much, if any, reliance on any listing site is a recipe for failure. Initially the HomeAway Secure Messaging Platform will affect inquiry responses only. HomeAway provides guest email address in the inquiry feed. HomeAway allows HTML in the inquiry response. HomeAway allows URLs to 3rd party sites in the inquiry response. HomeAway allows property manager contact information in the inquiry response. HomeAway allows attachments in the inquiry response. HomeAway will NOT allow HTML in the inquiry response. Text responses ONLY. HomeAway will NOT allow any links to any websites except their own website in the inquiry response. HomeAeay will NOT allow a property manager to include their phone, email, or website address in the inquiry response. HomeAway will NOT allow attachments in the inquiry response. Line breaks are supported so that HomeAway can format a response – Tables and other formatting (bold, italics, etc) are not supported. Ability to quote within an inquiry response will be very limited as none of the pretty HTML tables we supply can be used. No logos, no graphics, no images will be allowed. Potential guests can only book at HomeAway. 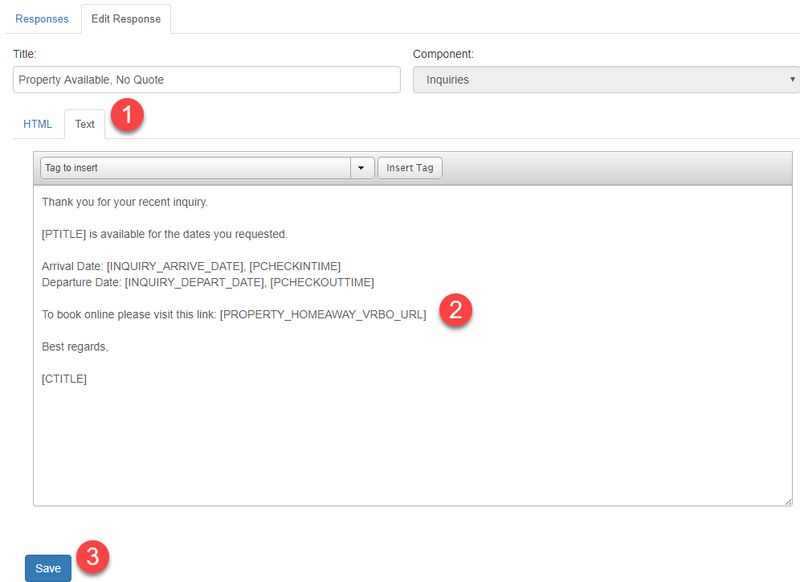 No more automated ability to sell other inventory when the inquiry is for a property that is not available. No more deep links into your website to provide more information or reference a FAQ. 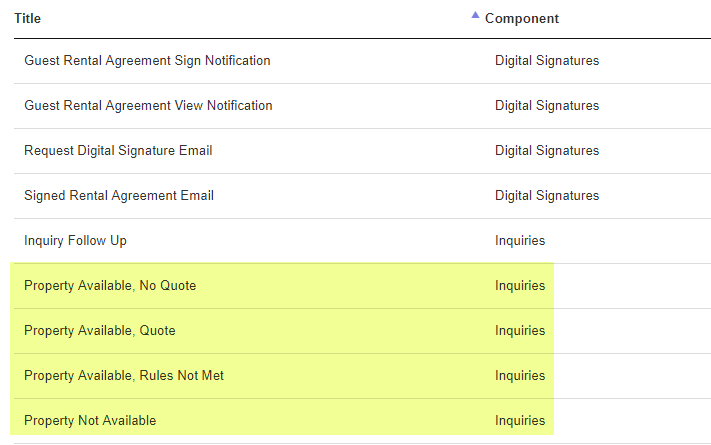 No more use of the email signature in your inquiry response. No more no response followups to HomeAway inquiries. I’d like to say there are some positives as a result of this change, but it’s only purpose is to drive ALL bookings through HomeAway to assure that HomeAway gets their service fee. They believe they are becoming a booking platform and are no longer a lead generation platform. On our end, it takes a simple process and makes it complex while limiting your access to data which is rightfully yours. In our next installment, part two, we will outline the changes that will launch on Lodgix on Wednesday August 2nd to support HomeAway Secure Messaging. Lodgix now integrates to a variety of different booking channels including Airbnb, HomeAway, Booking.com, Expedia and TripAdvisor. These channels have no mechanism to collect a signed digital signature on a rental agreement. That creates a problem for property managers that require a signed rental agreement with every booking, regardless of where it originated. Currently every invoice without a signed rental agreement would have to be use our manual digital signature process to request that the rental agreement be signed. The only reason you might want to exclude certain channels is if your rental agreement contains rate specific data in it, which could vary from channel to channel. Or perhaps you have different rental agreements depending on the channel. In an era where property managers are now expending to many different channels, we always advise to keep your rates, fees and rental agreements as simple as possible to assure that only one rental agreement is needed and can be easily used across all channels. I recommend every one make use of this new feature to assure that signed rental agreements are in place for all reservations, regardless of channel. Web-based guest management and online booking software has never been so easy. Whether you are a property owner with just one property, or a B&B with 10 rooms or a property manager with 75 properties under management, Lodgix.com will increase your bookings and simplify your life. Best online booking service there is!